Reem Sheikh is an Indian TV child actress who bagged recognition from the serial "Me Aajji Aur Sahib" where she portrayed the character of Megha. She worked in some commercials also like Maggi, Horlicks, McDonald's and Clinic Plus Shampoo. 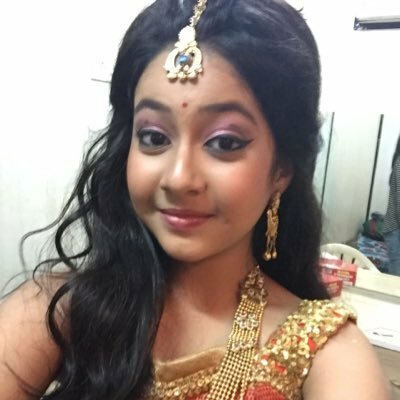 Her work as Chikki in TV serial "Yeh Rishta Kya Kehlata" on Star Plus was also highly praised by audience. Now she can be seen in the serial "Chakravartin Ashoka Samrat" as Kaurvaki on Colors Channel. Reema was born in the year 2003 in Mumbai(Maharashtra, India ) and made her debut in television with the serial called "Neer Bhare Tere Naina Devi" on Imagine TV as Devi ( Child Artist ) followed by some more remarkable works like " Na Bole Tum... Na Maine Kuch Kaha (season 2)" as Rimjhim on Colors and "Khelti Hai Zindagi Aankh Micholi" as Khushboo on Zee TV.